I’ve been pinged by someone (lots of fans, sometimes the creators) and asked to check out the work. This week, it’s fan review and there are some excellent games to check out! Ends on Thu, August 23 2018 9:00 AM EDT. “A new version of the Iron Edda RPG, powered by Fate Accelerated™. Ragnarok is here! The Dwarven Destroyers bear down on your holdfast. A cult dedicated to Loki foments deadly mischief within your walls. The local seer envisions young warriors throwing off clan ties, merging with the spirits of giants to save their holdfast. Fight, bleed, sacrifice, and save your people for as long as you can. Welcome to Iron Edda Accelerated! Backers get access to the Early Release version of the rules (edited but not laid out) as soon as they back this campaign. Epic Norse Action. Pick up your axe and shield to fight the metallic hordes of the Dwarves as they come to raze the world. Look through the roots of the World Tree to the Lands of the Gods and find the most opportune place to strike. Bring together your people and lead them against threats both outside and within your holdfast. Be the blazing heart of a dead giant fighting the metal monstrosities. Stand against the Dwarves who come from below to reclaim what was once theirs…or so Loki tells them. Heroes of the Holdfast. You’re the heroes of this age, dealing with the chaos and glory of Ragnarok: a time for legends to be born. Fight hordes of Dwarven spiders, convince fractured factions to fight together, travel the planes to bring aid in the form of magical artifacts to save clan and loved ones. Ragnarok seeks to end everything, but you have the power to keep it from destroying your holdfast for a little while longer. Internal Holdfast Politics. While external threats are daunting, insidious ones from within are equally deadly. People look for opportunities to gain power, even as Armageddon approaches. Convince your Jarl to make peace with the other holdfasts instead of war. Rally your warriors and keep their spirits high in the face of terror. Root out dissidents seeking to unbalance the power structure of your holdfast. Stabilize your own homes if your Jarl loses control. Keep your community strong or the Dwarves easily overrun your holdfast. The Dwarves of Svartalfheim invade the surface with metal machines, monstrous and terrible. The gods fight against the end of existence. Holdfasts burn. The seers foretell the coming of the Bonebonded: young folk who’ve thrown clan aside to merge with the spirits of deceased giants, providing the power to retaliate against the Dwarves in the form of skeletal giants. The Runescribed use their terrible powers to keep everyone alive a little longer. Other holdfasts seek any advantage in these desperate times. The world hurtles toward a chaotic ending, while a smiling Loki sits in the shadows watching Yggdrasil burn. What will your story be during the end times? Iron Edda Accelerated invites a wide variety of stories against the backdrop of Ragnarok. The Holdfast Creation system lets you take the elements presented, ask questions about the holdfast, and uncover the rest through play. While answering those questions you also draw a map of your holdfast, providing a visual representation of your experiences. The map functions as a play aid and reminder of your holdfast’s environs, the problems arrayed against you, and the places you’ve decided are important. Iron Edda Accelerated explores the problems of an oncoming apocalypse against a backdrop of mythic storytelling and Norse culture where clan is thicker than blood. The heroes of the holdfast feel pressure from everywhere as they solve the problems assaulting the holdfast. To make that happen, Iron Edda Accelerated uses a variation of the Fate Accelerated™ system, by Evil Hat Productions. Fate Accelerated makes the characters instantly competent and dramatic through approaches and aspects. In addition, story stress tracks help the GM weigh and present various problems assaulting the holdfast. Scale – Giant metal monstrosities, heroes larger than life, magical runes usable against enemies, and weapons of legend. Rules are provided to determine the weight of these elements in play. Destinies – A number of mythic Norse-inspired destinies, including the Bonebonded, Runescribed, Seer, and even the Farmer, help players make characters fit into the setting. Holdfast Creation – This system creates your holdfast through a series of questions and a hand-drawn map. When completed, the players have a series of problems that assail the holdfast and the characters’ paths are clear — and legendary stories unfold quickly. Ragnarok: Fate Accelerated™ by Tracy, Barnett, Chris Sniezak, Shawn Merwin, Robert M. Everson, Tim Jones, John Arcadian, Phil Vecchione, and Matt Morrow. If that system and setting and those creators don’t move you, the gods will. Ends on Sun, August 26 2018 11:02 AM EDT. Necrotopia is an Apocalyptic RPG where you and your friends battle through multiple Apocalypses. Faced with invasion of evil forces through portals, travel across worlds after you master use of portals. Original story and art with unique characters and settings. Uses a D6 game system with move creation that is simple and highly customizable. Create a character in 5 minutes and play a session within an hour. Fun for veteran RPG players and new players. 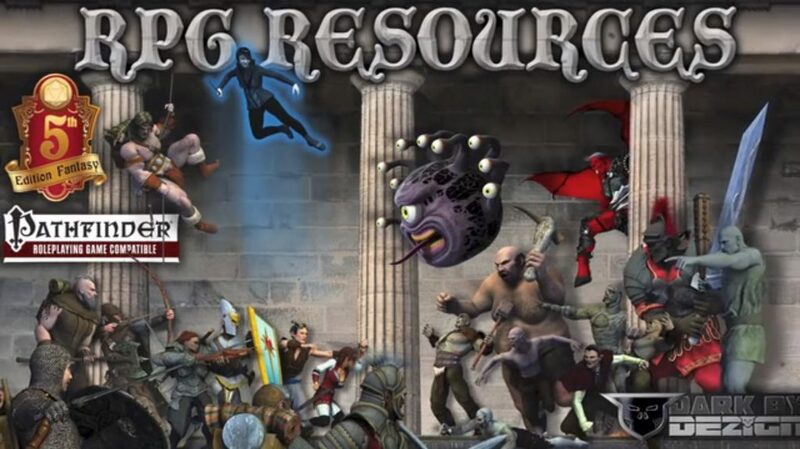 Necrotopia is a role playing game written and developed by Keenan Dunham. This is an independent project of a combination of ideas and stories Keenan has created. Our goal is to release the first 30 page stand alone rule-set book, and expand the Necrotopia Universe after that with more campaign books. With the limited time-frame of the first kickstarter we will only be releasing the 30 page rule-set book along with some special bonuses. Artists are being paid up front for original art used, not from promises of future money. Some art used is public domain. The game itself is meant to be a beginners pen and paper role-playing game that can appeal to anyone. It is simple and highly customizable. Here is a sample of the story from book one: “Necrotopia’s story begins with sparks of an invasion of demonic and inter-dimensional forces attacking Earth, initiating a battle for survival and conquest. There is a battle between Heaven and Hell brewing and you and your friends are caught in the middle. What happens depends on you with one person taking the role of Game Maestro and the rest taking the roles of role playing characters.” We hope you and your friends have a ton of fun with this game! I covered the first run of this Kickstarter here. In the new iteration, it has a higher goal and has raised more dollars towards it. Check out the Kickstarter page. I didn’t copy it, but the pages shares a lot about the game’s mechanics so you can find out exactly what you’re getting with your pledge. Ends on Thu, August 30 2018 11:59 PM EDT. “Bronze-Age Sword and Sorcery roleplaying, inspired by TORAH and ILLIAD, GILGAMESH and ACHILLES, CONAN and THE DYING EARTH. Joshua A.C. Newman’s The Bloody-Handed Name of Bronze is a tabletop roleplaying game of those who speak the secret Language of Names that spoke the world into existence. When you portray one such Namedealer, you will make treaties with anything bearing a name — and you will thrive and suffer from the consequences of those promises. …And it is a game of fated heroes, driven by their long-dead ancestors — and their own great passions — to pursue their destiny for the benefit of the dead, and to die bathed in glory. It is a game of passions and cunning, of tricksters and hard-found justice. It is a game of pursuing what you desire. It is a game of getting what you want from your companion characters when you have no reason to trust them, and about using those you don’t trust to aid you in your pursuits. It is a game about flight from the consequences of your promises, and the power that comes from both lies and the truth. It is a game about charging toward that against which you have been commanded, and the power one has to turn against an abuser. Above the World is the Vault of Heaven, holding back the Waters of Heaven. Beneath the World flow the Waters of the Underworld. Between them is the World, and all in it is made of clay, given being with names, spoken into existence with the first breath. All that has a name, has a will. Every child, every river, every constellation, every fang of bronze discovered in the rib cage of a storm-revealed skeleton, scoured by the desert. Seek and explore, for in the quest lies your destiny and your doom; your redemption and your failures. Jabari Weathers – Not art from the game but a great example of Jabari’s work. The game sounds interesting as an experiment. The Kickstarter is intimidating, meant to show its artistry and poetry to give a solid feel for the setting (I feel I get the setting based on the imagery that is shared in the art and writing). Yet, the campaign keeps its mechanics shrouded in mystery. As best I can tell, you’ll draw from two pools and roll them together to accomplish your goal. If the fantasy of these previews can be infused through the book, this will be a winner. Add to that, there’s Jabari Weathers art! I met Jabari online, loved their art, and, ran into them at Gen Con 2018 twice (we happened to be in the same hotel). Jabari is an exceeding friendly individual and I wished I’d had time to sit in on one of their games at the convention. With this project, I’m eager to see all of Jabari’s work cause it will build this setting. “L’gat’s Tome of Amazing Creatures Volume 2 is Power-Up Gamer’s next supplement containing homebrew and reskinned monsters for DND 5e. L’gat’s Tome of Amazing Creatures Volume 2 is the next release in a trilogy set of 5th Edition Dungeons and Dragons supplements. Produced by Power Up Gamers Roleplayers for Accessibility, artwork will be done by the talented Jon Pintar. NOTE – Cacticorn and the Crystal Golem are “pre-edits,pre-rewrites, and pre-playtests”. For $35 (or more), you’re getting 5e games, updates, and a chance to talk gaming ideas with individuals that have already taken the plunge and published their creations! Over and above the gaming, PUG is on a worthwhile mission to create “ways of making their games more accessible to a wider variety of people, especially those with sensory impairments and learning disabilities. This is done by suggesting language and methods that evoke the senses as well as outright descriptions of the beasts and their habitats.” Their mission is inclusive and it’s done in a way that benefits all gamers – by offering more detailed monsters. This is product is going to be a win! UPDATE – The Kickstarter for Confluence – Cosmic Mirror Games Core Rulebook by Cosmic Mirror Games has been cancelled. Ends on Wed, August 29 2018 12:53 PM EDT. “10 Worlds. 1 Game. Endless Possibilities. Confluence is the core rulebook for the Cosmic Mirror Games settings and systems. Confluence is the 9th of 14 eras on the Cosmic Mirror, a flat world with 4 suns. Cosmic meddling has caused the world to collapse in on itself, prompting beings from the other 13 eras to pour into it. Now, their cultures, their races, their creatures are all colliding. This is Confluence. 10 Worlds, 1 Game. 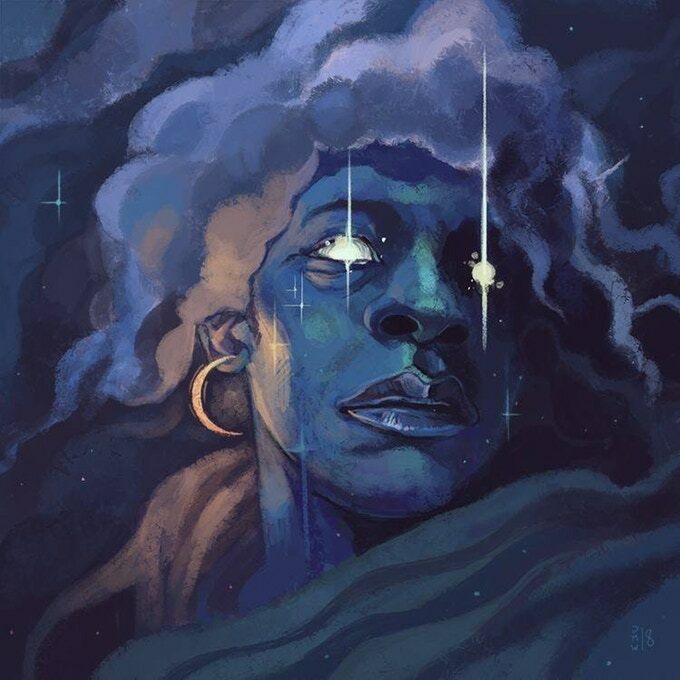 In Confluence, players will take up the roles of denizens who have come from these disparate worlds, thrown together into one world of ancient history and extreme technology. Each of the 10 playable races brings a unique experience from their own game worlds, and each comes with their own levels of difficulties, allowing experienced players to play alongside new players while facing different difficulty levels in character creation and management. With 10 core races and 40 NPC races, as well as unique items, technology, equipment, and magic from each of the worlds, Confluence is a world made to be explored. You can play a horror game with the undead hordes of the 7th Era, engage in political intrigue with the beings of the 12th, and hunt down ancient relics of incredible power from the 13th. Will you fall into worship of the Fallen Gods, or will you find power from the being that resides within the world itself? Your journey awaits. NOTE: The Worm The Early Birds Want is the tier you want to get– get a PDF at the 25$ price and get a FREE hard copy! Only 50 slots, get them while they last! Promotion days: Day 1 (July 30th)- Free cover and world map posters to all who pledge at the $25 level or higher! Day 15 (Aug 13th)- Bump your pledge by $5, and you’ll get a free PDF of Generations! Bump by $15 and you can nab a hardcopy! That’s half the price of a PDF on Drivethru right now. Day 22 (Aug 20th)- Bump your pledge by $5, and you’ll get a free PDF of NuAEther! Bump by $15 and you can nab a hardcopy! That’s half the price of a PDF on Drivethru right now. Past Kickstarter: We want to be forward. Confluence had an attempted Kickstarter back in June last year, where it was paired up with two of our small book games. The Kickstarter failed, but we didn’t stop for a second. Work continued, art kept coming in, and we’re coming back stronger than ever. Confluence is the core rulebook for a series of game books set to come out each year. It also acts as the core setting. Future books will rely on these core mechanics as expounded upon in the Confluence book, but will offer new worlds and settings, along with new races, items, magic systems, and much more. Because this core setting is made up of elements from the other worlds, each of these new setting books will be backwards compatible, all their contents usable in the core world. The book is slated to reach 650 pages. The core of Confluence is built on a simple d6 dice pool system. To perform an action, you will add your relevant Attribute to any relevant Specialty your character has for the particular action. You then roll that many d6, and succeed on 5’s and 6’s. Unique race powers, character traits such as Talents and Abilities, and a wide array of item options from across the worlds enhance and enjoyably complicate the game for players, and help make each game new and exciting. This game book is actually at your fingertips to give a look over right now. The playtest copy contains all the elements needed to pick up and play right now, including all the information needed to create any of the 10 unique character races, unique character traits to help set your character further apart, as well as 20 pages of item options to ensure you are properly equipped for your journey. Information on combat and survival are here in their entirety as well, letting your group pick up and play from this playtest document alone. In addition, the book looks ahead at the variety of offerings still in store for World information, continent and city descriptions, additional NPCs, monsters, and more. There is a lot of info missing from this copy, over half the book, but that’s to make sure that there’s plenty of worthwhile stuff for you to still find ahead in the final version! By Dane Asmund, this game’s system involves adding “your relevant Attribute to any relevant Specialty your character has for the particular action. You then roll that many d6, and succeed on 5’s and 6’s.” It’s a simple system and they’re offering a playtest copy to try it out. Give it a go and if you like it, come back to the campaign.